At least eight sailboats are docked at the harbor in tarpon Springs, Florida. 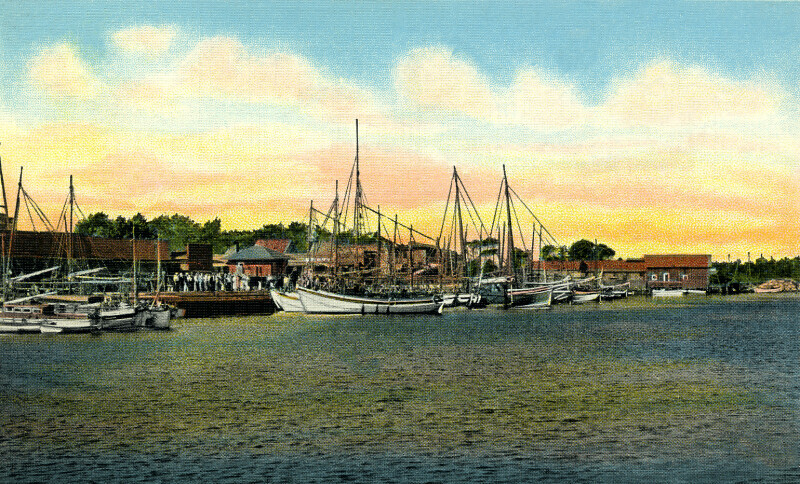 The docks can seen, between clusters of docked sailboats, and there appears to be a line of people standing on the dock. In the distance, there are buildings spread around the harbor. WARNING: You are about to download a 4.8 MB TIFF!